Organic Silicone Waterproof Agent for Construction Surface - MUHU (China) Co., Ltd.
Organic silicone waterproof agent is applied in unique technical process waterproof agent with sodium methyl silanol type, in which the content of oxygen ions approaches zero, definitely different from traditional production process. It is not only with non-corrosion to the steel-bar property, but also with permanent moisture-proof, bleeding resistance and good gas permeability. 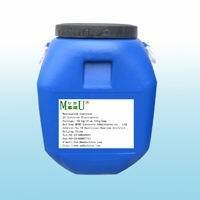 It meets requirement of Organic Silicone Waterproof Agent for Construction Surface, JC/T902-2002. Notes: No. 1, 2, 3 are properties without diluted. 1 With superior waterproofing performance, it can effectively prevent getting moldy and saltpetering. 2 Well gas permeability, excellent moisture-proof and mold-proof. 3 It can substantially increase waterproof and color retention ability. When it is used on jointing of ceramic tile and mosaic surface, the low water absorption, no icing expansion will prevent the ceramic tile and mosaic surface from peeling off. 4 It can effectively prevent pollution, achieve anti-corrosive, water-resistance and high durability. 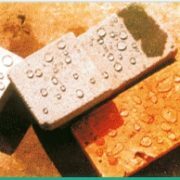 1 It can be applied in protection and waterproof of porous inorganic substrate such as concrete, ceramic tile, clay brick, stone which are not under water pressure. 2 Anti-leakage, water-proof, impermeable on external wall, warehouse, and sloping roof of different kinds of building; Waterproof, color protection, anti-pollution, anti-salt efflorescence, weather resistance, anti-freeze-thaw spalling on areas such as historic building, stela, ceramic tile, marble, and granite and so on. It can also prevent wall getting moldy and mossy. 3 It can be applied in Hydrophobic Treatment on surface of concrete pavers, and inorganic thermal insulation material, especially on various types of tile, granite wall. Waterproof, color protection, anti-pollution, anti-salt efflorescence, weather resistance, anti-freeze-thaw spalling on granite plaster, rock dash and brick. 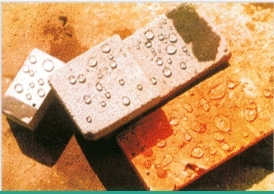 4 It also can be made into water-proof mortar by mixing with cement, which has excellent rigid waterproof performance. This product is sold as stock solution. To ensure quality, it should be diluted with ten times water before applying. Both spray and brush painting can be applied. Brush once in vertical direction and again in horizontal direction, two times with each time for area 40㎡/㎏. After sprayed on the surface one time, immediately go on twice. 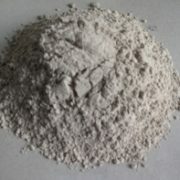 When the treatment substrate has big crack or hole, professional repairing agent is necessary before restart to build. 1 No attack from rain, snow or frost in 24hours is allowed after applying this product. 2 Do not apply it when wind power is above level six. It should be packed in dry, clean and sealed plastic drum. Net weight: 18kg per drum. Transportation confirms to the requirements of non-dangerous articles. When stored in dry condition at temperature above 0 degree C, its shelf life is 1 year.